Opportunity to congratulate a co-worker, employee, boss, or mentor only comes around every so often. To make the most of it why not give him or her the classic engraved plaque. 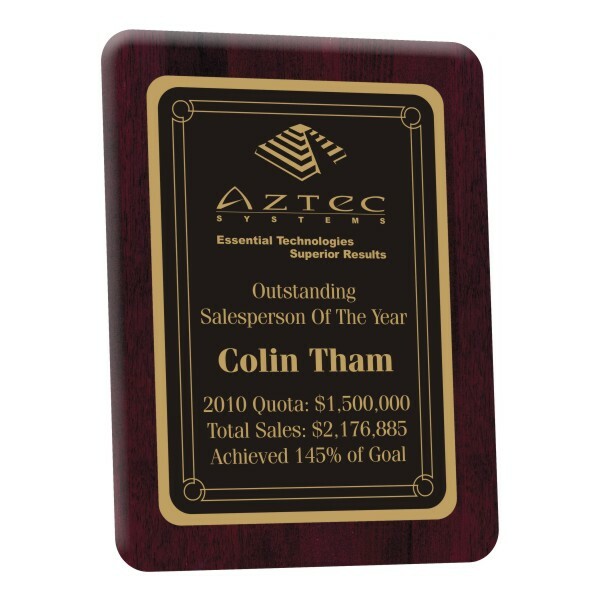 Award plaques are a fantastic way to showcase and recognized achievements within an organization without tipping the budget scales. 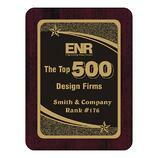 We @ In The News Inc manufacturer, sell and produce employee awards for hundreds of companies across the United States. We take and incorporate your logo and add a simple design with some inspiring text and you have a wonderful engraved plaque. Send us your own design, phont and text and ask about shipping specials with quantity orders. We can take the guess work out of what you are going to do for upcoming events year in and year out. Fantastic turnaround time enables you to make any last minute adjustments or changes. We manufacturer in house so we don't have to wait on a certain # of orders to ship our product. We beat the competition in quality and price. It's retro, it's classic and it works.